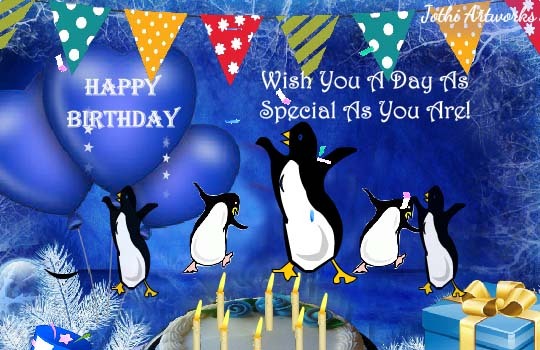 A lovely card with dancing penguins wishing you a very happy birthday! 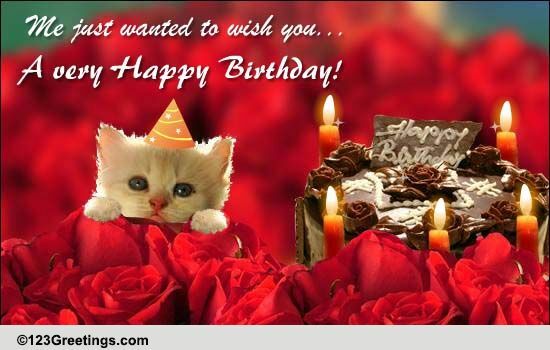 Old fashioned pop-up card with lovely roses and butterflies. 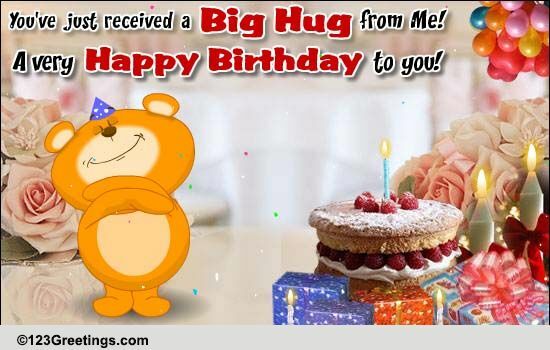 Perfect for any birthday. 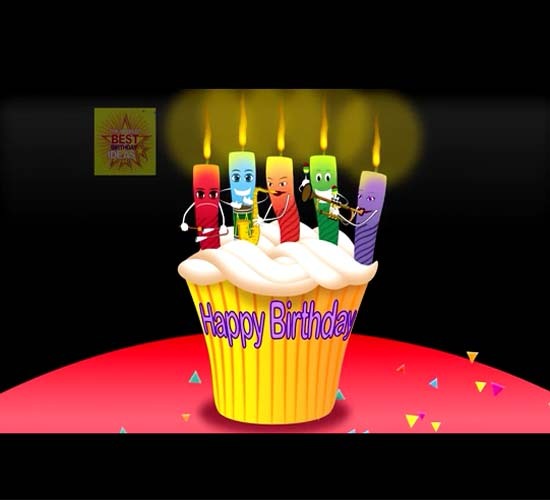 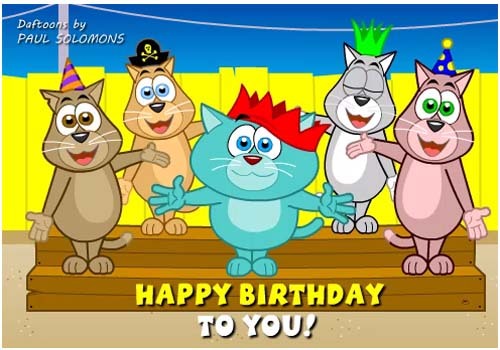 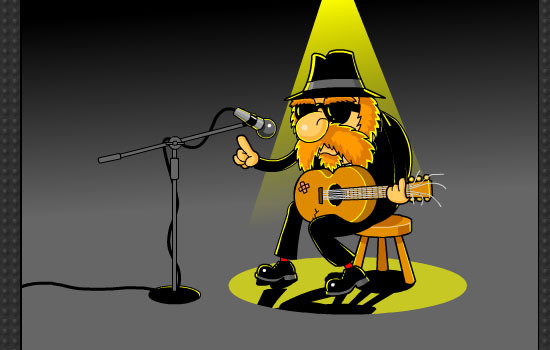 A fun birthday ecard song. 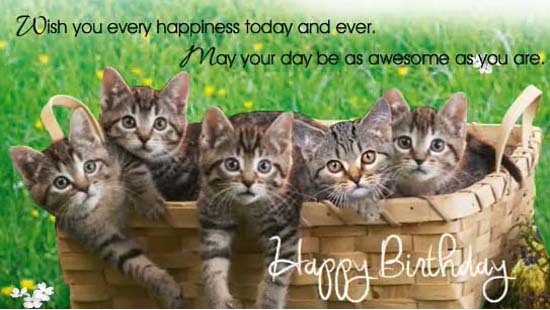 Cute kittens in basket meowing birthday song. 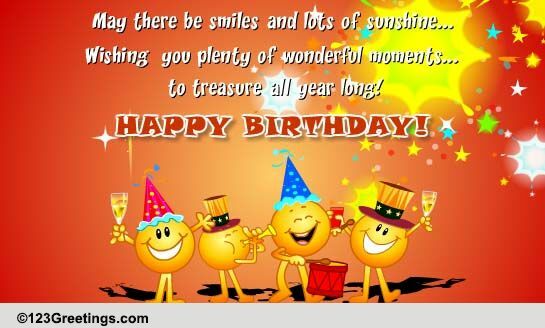 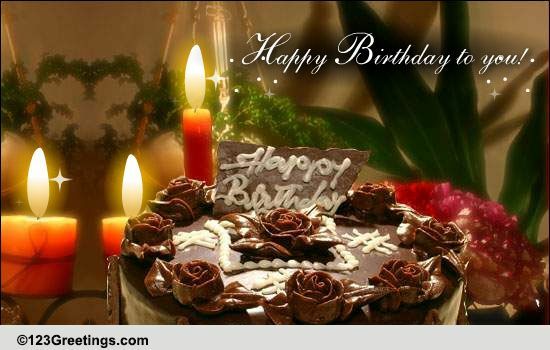 A beautiful ecard with birthday wishes. 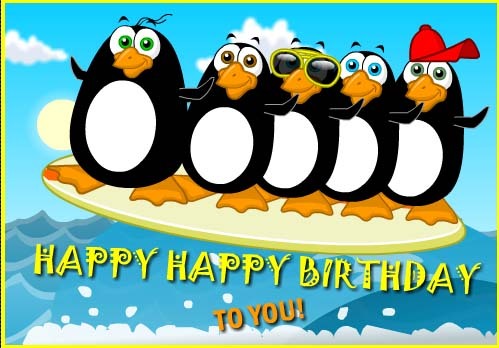 Everyone's favourite penguin surf harmony group sing a fun birthday song for you.